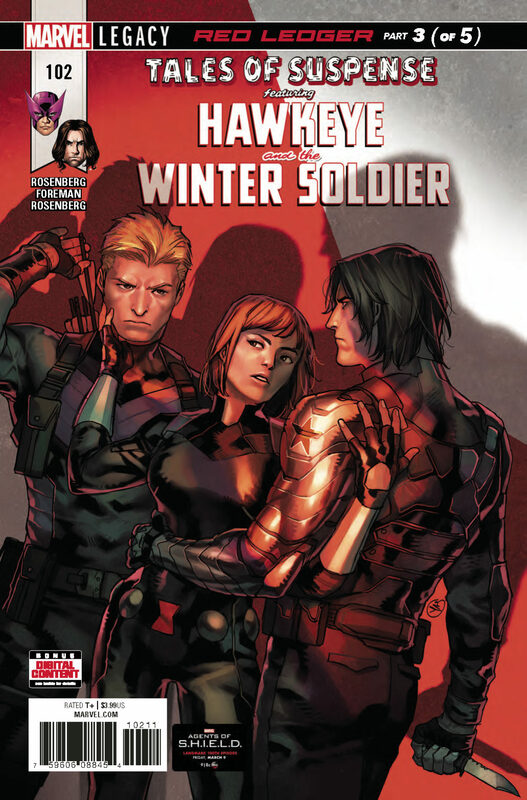 • BUCKY and HAWKEYE find the answers they’ve been looking for, but something feels off. • An assassin with no motives, an old ally with no memories and a trail of clues no spy would ever leave can only mean one thing – they’re being played. But if THE BLACK WIDOW isn’t doing it, who is? • The exciting epic of teamwork, treason, brainwashing and buried black sites continues here!